Sagewood Winery is typically the third winery that Kamloops Wine Trail and Sun Peaks winery tours stop at, after visiting Privato and traveling past the beautiful Kamloops Hoodoos and possibly a herd of Big Horn Sheep) to Harper’s Trail. For directions, you just turn left out of Harper's Trail and travel around 4km to Meadow Lark Road, turn left and look out for the garden sign at 589 Meadow Lark Road. Sagewood is ‘unique’ in that the wine tasting and sales are done from the converted garage of the owners home, which is in the middle of a residential neighborhood. It is very much a family passion and operation, with owners Doug and Shelley, along with their two children, being involved in everything from planting the original vines back in 2005, to bottling, naming and labeling their wines. Once you visit you will quickly see the passion they have for their winery, and you will also feel like you are part of the family. There is a $5 tasting fee which is waived with the purchase of 2 or more bottles. 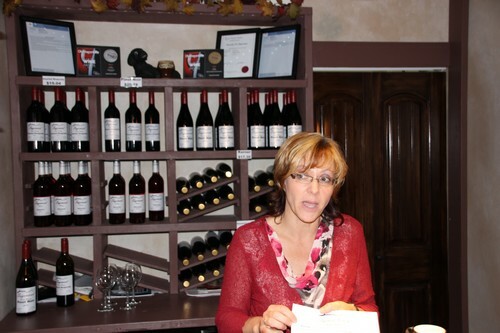 They opened their ‘home’ up for tastings in August of 2014, and at the time of writing, have by far the smallest tasting area. 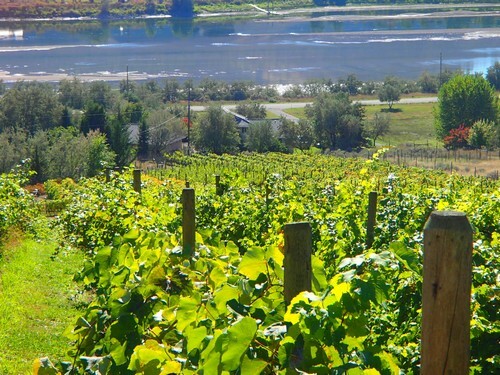 However they were the first commercial vineyard in the Kamloops area, and after their grapes were consistently winning gold and silver awards for the wineries they sold to (such as Calista), they decided to push ahead with their dream to open their own winery and hence, Sagewood Winery was born. They grow 17 different types of grapes in their 3.5 acre vineyard, and offer roughly half a dozen reds, half a dozen whites, a Rose, and a Late Harvest. They are made in small batches so some tend to sell out pretty fast. 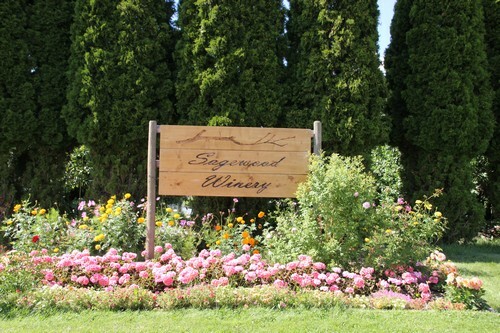 While tasting some of the nice wines at Sagewood, you will hear cute family stories about how they named the winery and some of their wines, from grapes which are 100% grown, crushed, fermented, cellared and bottled at this small location. When we visited, their offerings included a Riesling, Kerner, Gewurtztraminer, Brut Style, Rose, Gamay, Red blend, Pinot Noir, Cabernet Franc, Marachel Foch, and a Dernier Foch desert/late harvest wine. A few of these were already sold out. And they were good. Everyone has their own tastes and preferences, so we won't go into detail. Come and try them out, and don't forget to get your Kamloops Wine Trail stamp while there. A little more information can be found on the Sagewood Winery webpage, which is still a work in progress. 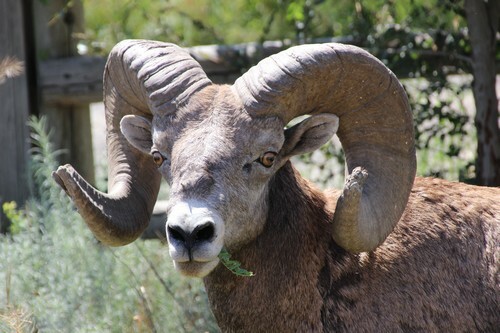 Next on the Kamloops Wine Trail is generally the Monte Creek Ranch and Winery - last but not least by any menas! Join in a guided winery tasting tour from either Kamloops or our Best Sun Peaks condo at Sun Peaks, or book a fun, group tour – complete and submit the form below for more information about Sun Peaks Winery Tours.